Since 2012, the number of business failures in the United Kingdom has been falling. 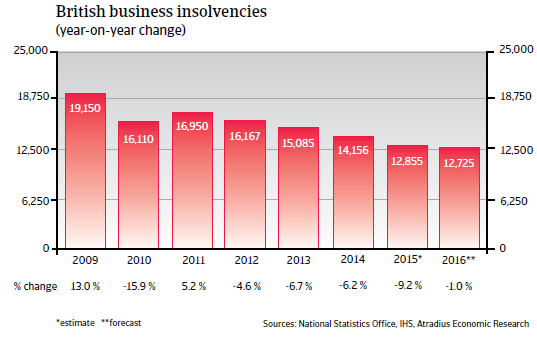 In 2015 the UK Insolvency Service recorded a 9.2% year-on-year decrease in compulsory liquidations and creditors’ voluntary liquidations in England and Wales, with 12,855 cases recorded. 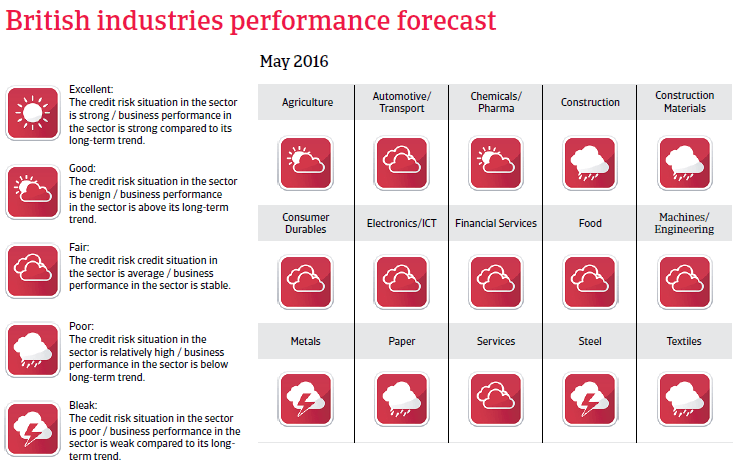 We expect this trend to slow down in 2016, with business failures forecast to decrease by just around 1%. After growing 2.2% in 2015, United Kingdom’s GDP is expected to increase 1.9% in 2016. Consumer spending is still fuelling the economic expansion, helped by a further decrease in unemployment and low consumer price inflation. However, financial market turmoil and the slowdown in world trade have caused wage growth to lose steam (1.9% in 2015), potentially having negative consequences for household spending in 2016. 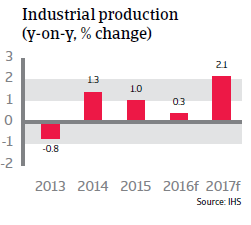 The strong pound and weak external demand continue to weigh on manufacturing activity. 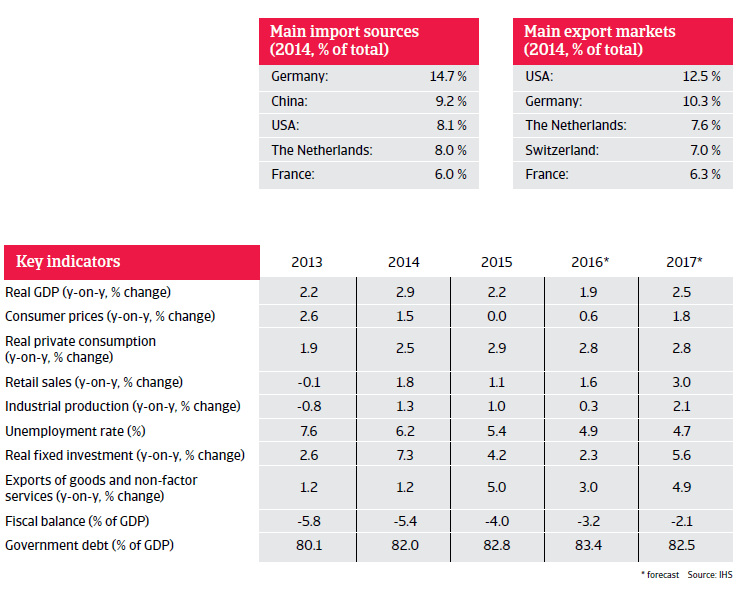 A strong pound negatively affects British exports to the eurozone, which is still the UK’s most important trading partner, accounting for more than 40% of exports. That said, uncertainty about the outcome of the Brexit referendum in June 2016 has begun to weigh on the pound, relieving some pressure for UK exporters. In the current economic environment, a rate hike by the Bank of England seems to be off the table until 2017. 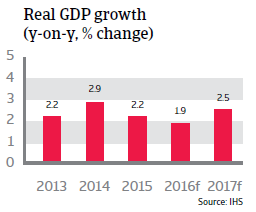 Comprehensive austerity measures and tax increases since 2011 have slowly reduced the fiscal deficit to 4.0% of GDP in 2015. However, government debt continues to rise and is forecast at more than 83% of GDP in 2016.